The Sylvia dance shoe company is based in Tokyo, Japan and has been operating for 50 years. 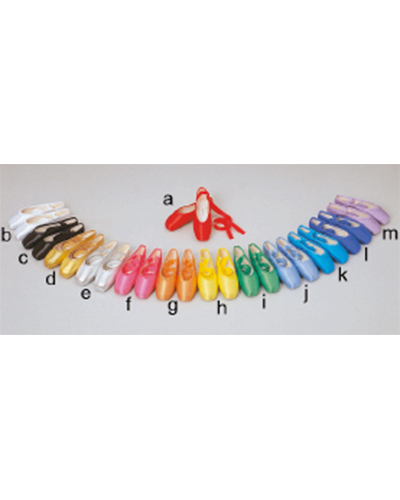 Sylvia Dance Shoes has approximately 8 different pointe shoe designs. While they do have a raft of colour options available to dancers who wish to banish beige, they still do not have any shade of camel or brown. If you wish to order your coloured pointe shoes from Sylvia Dance Shoes and cannot read Japanese kanji, we suggest you enlist the help of someone who can! Sylvia Dance Shoes have personally advised us that their standard of pointe shoe is best suited to beginners (the width of these pointe shoes can be quite narrow and the shank easily bent).